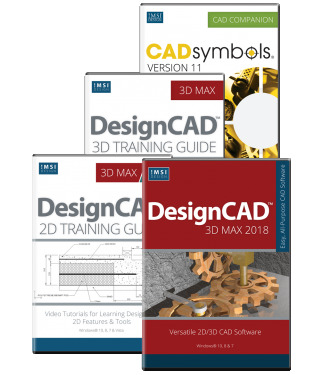 Powerful 2D/3D CAD plus Training and Symbols in one! 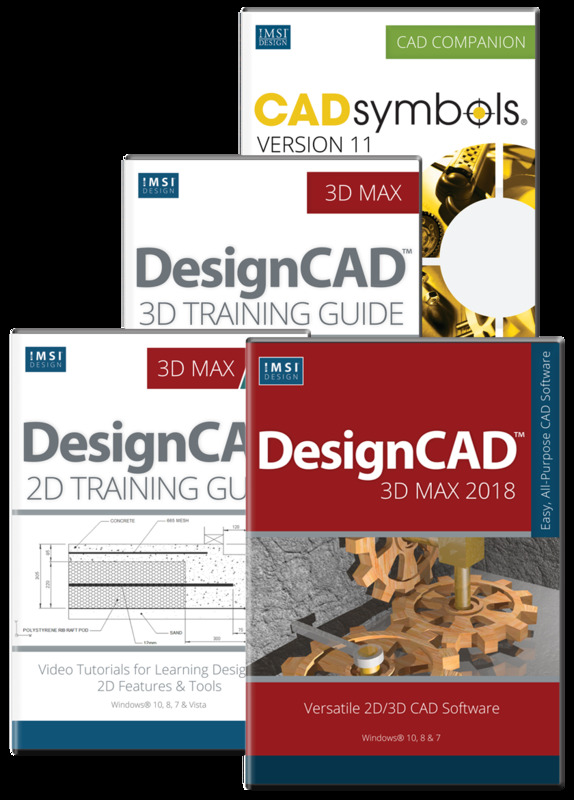 DesignCAD 3D MAX 2018 Bundle combines easy-to-use 2D/3D CAD software with complete 2D and 3D training programs to help new users get up to speed more quickly, and experienced designers improve productivity. Also receive CADsymbols, with over 30 million standard parts and symbols to create high-quality designs faster. A $300 Value!